The Kind Katie Movie Partners offering is now closed and is no longer accepting investments. Faith-based Film Funding belongs to YOU. Watch This Video First... If You Haven't Already. 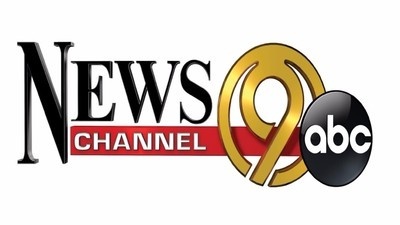 News Channel 9 story on the film. Make History With The First Faith-Based Film To Offer Profit Sharing. In the past, faith-based films have had to rely on non-profits or wealthy investors to get a film made. Now YOU can change that. And isn't that a biblical model? Consider the parable of the Talents in Matthew 25.
to offer potential recoupment of funds and shares in the profits for only $100. 100% of the adjusted gross profit gets returned to you first. Once you've received 120% of your principal investment, then your return adjusts to a prorated share of 50% of net profits. Security Type: Investor Financing Agreement. Return on Investment: 100% Adjusted Gross Proceeds to Investors until recoupment of 120% of principal investment, then, then a pro rated share of 50% of adjusted gross proceeds thereafter. Katie Beth Carter left a legacy of faith and kindness that the world needs to hear. $100+ - an on-screen credit. $500+ - a live online Q&A with the production team and cast (if available). $750+ - an autographed copy of the title page of the script - suitable for framing to commemorate your first film team experience. $1000+ - one ticket to the premiere (location TBA). You’ll have to cover your own travel. $2000+ - we’ll double the offer and get you two tickets - OR you’ll receive a site license and an advance BLU-RAY disc to show the film at your church (pending future distribution agreements). $10,000+ - visit the set during filming, meet the cast and crew (if available) and we’ll give you FOUR tickets to the premiere. Travel expenses are on you and set visits will have to sync up with our shoot schedule. And you might be able to be an extra on set. $25,000+ - you’re a Co-Executive Producer with an onscreen credit and all the benefits I’ve already mentioned. Writer/Producer Jon Graham on "Why Kind Katie?" The Carter family on "Why Kind Katie?" For those who KNOW the real story of Katie Beth, remember this film is "based on true events". Much care has been taken to preserve the spirit of Katie Beth but many of her life events were time-compressed, re-sequenced and sometimes fictionalized for narrative purposes. Katie Beth has a growing friendship with the star receiver, Marcus. She’s a bit stunned to learn he wants to leave his tumultuous family and enlist in the Marines as soon as he graduates. She invites him to the upcoming Christmas musical where she’ll have a solo dance. After the musical, Coach Slaughter tells her and Marcus about the Spring Break service trip to Nicaragua. The next day, KB learns the audition for JSU is at the same time. She wants to do both- but can’t. She presses ahead over the next months as if she’s doing both. Not until the moment she steps off the van do we learn that that she decides the mission trip will have a more eternal impact. In Nicaragua, Katie Beth learns how the children have no school. A young girl is enchanted by Katie Beth’s dancing. They color a yellow butterfly in a coloring book together. Meanwhile, in Alabama, Katie Beth’s name is called to audition. Back in Nicaragua, a tear rolls down KB's face, aware she was missing tryouts at JSU. As the mission team is saying their goodbye’s, the little girl slips a note in KB’s pocket. It’s the picture of the yellow butterfly with a message added: “Siempre Baila”...ALWAYS DANCE. After a perfect weekend at home, she heads back to school. Three miles from JSU she can’t react fast enough as an 18-wheel truck hits her broadside. The impact kills her instantly. At the crash scene, an EMS worker picks up a charred piece of paper: A yellow butterfly with the words, “Siempre Biala”. Amy weeps over Katie Beth’s scholarship award letter.The letterhead reads J S U. ... she adds an ‘e’ and an ‘s’ ... “JeS Us ... help me”. Jason hurls softballs at the backyard fence. The family is at the funeral home when Marcus, straight from Marine boot camp enters in full dress. He salutes Jason, the casket, and then collapses in tears. At the private family graveside service, a yellow butterfly follows the family from Katie Beth’s grave, to a neighbor’s son’s grave a few feet away. JSU has a recognition for the Carter Family. KB’s dance teammates tell Amy that they’ve all seen a yellow butterfly“dancing” in Katie Beth’s spot during their games. It's the first morning of Katie Beth Carter’s Senior year in high school. Katie Beth and little sister Kimi are fighting over clothes. Dad, Jason, is on a Skype call to Australia where older brother Jacob is wrapping up his mission time. Mom, Amy is preparing breakfast. KB has been a dancer since age 4. She’s ‘served her time’ on the JV squad. By day’s end, she will find out the results of her audition for Varsity dance team.... She doesn’t make the team. She is heartbroken. Her dream since middle school has been to dance with the Jacksonville State University Marching Ballerinas. Once home, Katie Beth is angry. Softball coach, Dad, offers her a bucket of softballs and says- “go throw these at God”. Katie records her prayers in her journal. It has a yellow butterfly on the cover. KB becomes the football team manager. She’ll be watching her former dance teammates wearing a different uniform. But, she has a new dance coach who demands much more of her and is committed to Katie Beth reaching her dream. In Coach Slaughter’s leadership class, Katie Beth learns about various kinds of leaders. A few conversations with Slaughter confirm that she leads through kindness. The greatest example of this kind of leadership was Jesus Christ. Touchdown in Atlanta, Katie Beth learns another audition has opened. The Carters scramble from the airport to the audition. On their way back home, Katie Beth has time to reflect on the week she’s had. Looking back through her journal, she determines to make a big impact during her last few months of high school. Armed with her Bible, a sharpie, construction paper and her yearbook, she writes a Bible verse and a note of encouragement to every person in her class. She works through the night and early the next Monday she puts the messages on each classmate's locker. From that point forward her classmates refer to her as Kind Katie. Just before graduation, she learns she made the JSU squad. That summer, every waking moment is filled with JSU practice, college orientation, and dreaming with Jacob’s fiance about their upcoming wedding. The whole family makes the two-hour trip to JSU to watch Katie Beth dance at her first game. After the game, the family heads home while Katie stays at school to hang out with friends. She’ll drive home for the Labor Day holiday tomorrow. The Leadership class decides to build a school in Nicaragua in Katie Beth’s honor. They go to the business community and raise $60,000. A yellow butterfly flits across a beautiful green pasture while uniformed kids are running toward a new brick school building on a Nicaraguan hillside. The sign goes up on the school: Katie Beth Carter Memorial School. As the kids begin their first day of class, they open their text books to discover a note for each child. One little girl’s note is a tattered colored picture of a yellow butterfly with the words, “SIEMPRE BIALA”on it. A tear rolls down her cheek... and then a giant smile. ... THE END. 2016 was known by many as the year of the Bible (in films) and the successes were evident. As studios cut back, equity investors have been moving into the independent film arena. Lately, falling salaries, rising subsidies and a thinning of competition have weighted the financial equation even more in favor of the investor. In addition, revolutionary changes in the manner in which motion pictures are produced and distributed are now sweeping the industry, especially for independent films. Once dominated by the studio system, movie production has shifted to reflect the increasingly viable economic models for independent film. The success of independent films has been helped by the number of new production companies and smaller distributors emerging into the marketplace every day, while major U.S. studios maintain divisions dedicated to providing distribution in this market segment. In addition, there continues to be an increase in the number of screens available for independent films. Faith-based films are a growing, often profitable segment of the entertainment industry, and more producers and executives are trying to tap into the market for belief-affirming movies. 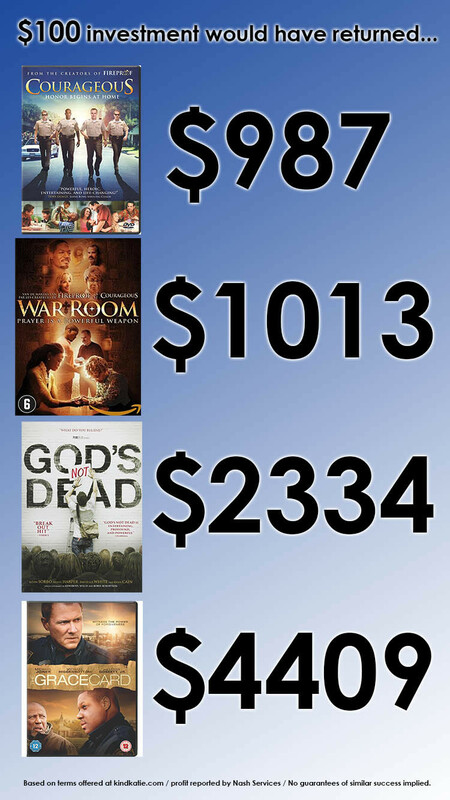 The 2015 prayer-focused hit "War Room" cost just $3 million to make but grossed $67.8 million in box-office receipts. "Miracles From Heaven" and the biblical epic "Risen" have generated strong business despite opening only a few weeks apart. The budget is a flexible document and will change as needs change - ratios should remain close to these amounts. Any revenue raised over budget will go to increase production value. $41 goes to location, crew and gear. $14 goes to legal fees and insurance. $11 goes to post production like editing, sound design. $12 goes to the cast. $9 is divided among the rest of the production team. $10 goes to a casting director. $30 goes to production of a "proof of concept" trailer. $19 goes to travel expenses. $6 goes to StartEngine.com fees. these are estimates - not actual forecasts of disbursement. In the months following Ringgold resident Katie Beth Carter's death due to a car accident, the outpouring of support was tremendous, said her father, Jason Carter. Now, a plan is in the works to immortalize Katie's story on the silver screen. 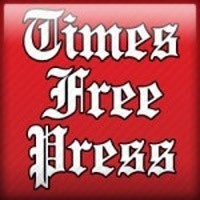 The 18-year-old was killed last September when a tractor-trailer struck her vehicle during her drive back to Jacksonville State University following the Labor Day holiday. 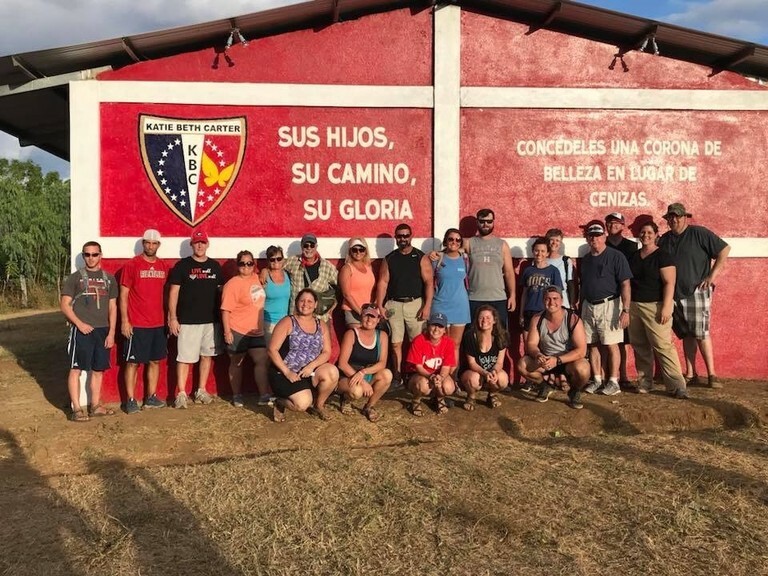 Following her death, Carter and his wife started Live and Love Ministries to honor their daughter, and the leadership class she was in at Heritage High School raised over $50,000 to build a school in Nicaragua in her name. Katie's ballet troupe, Scenic City Dance Company, also raised money in her honor last December to help fund seniors in the program so they could continue to dance after graduating. And Jon Graham, a minister and friend of the Carter family, is currently working on feature film production of Katie's life. Katie Beth Carter was a 2016 graduate of Heritage High School. She was also a dancer, college student, daughter, sister and friend to everyone she met. "She was the closest thing to a real life angel," said Kimi Carter, Katie's sister. Kimi says the fact Katie Beth isn't here right now still doesn't seem real. "She just loved people," she added. And she hopes a day never comes where she forgets how her sister looked and acted. Now, thanks to movie producer Jon Graham there's a greater chance she won't. "I'm hoping that this movie can capture all of that, and can capture her laugh and just her little quirks that she did," Kimi said. That's the plan for Graham's movie - Kind Katie. KIND KATIE Movie Partners, LLC, a Georgia-based company, is an independent production company developing and producing the feature film KIND KATIE. The faith-based, true-life story is budgeted at $1 million. The production team consists of Producer/Writer Jon Graham, Producer/Writer Joshua W. Sims. $500+ - a live online Q&A with the production team and cast (if they are available). If we reach the target offering amount prior to the offering deadline, we may conduct the first of multiple closings of the offering early, if we provide notice about the new offering deadline at least five business days prior (absent a material change that would require an extension of the offering and reconfirmation of the investment commitment). Invest today because tomorrow will be too late. $11,000+ of voided investments ... and five days to go! Hello investors and followers of our campaign ... just a note that there are ONLY FIVE DAYS left to become an investor for as little as $100. Once the campaign closes, there will not be another opportunity to become an investor at that level. YEAH, BUT YOU'VE EXTENDED BEFORE ... We are out of extensions. YEAH, BUT YOU'RE PRESENTLY NOWHERE CLOSE TO YOUR MILLION DOLLAR GOAL ... We are pursuing a traditional film investment model as well as the REG CF model here on StartEngine and we are confident between both approaches we will have the film fully funded. Hopefully very soon. THAT'S COOL ... I ALREADY INVESTED! Please check on that ... in a recent audit we discovered over $11,000 of our investments WERE VOIDED because the investor (you) may not have re-affirmed your investment during an extension. Please log in to your StartEngine account or email hello@startengine.com and verify your investment stands ... BUT DO THIS QUICKLY ... Like NOW. YEAH, BUT I BEST YOU'RE DISAPPOINTED YOU DIDN'T REACH YOUR BIG GOAL HERE ON STARTENGINE ... Yes and No. "Yes" because we'd like to be able to say we were the first to do it successfully strictly through REG-CF. But "No" because, StartEngine charges a service fee to manage our campaign and any funds secured outside of this portal saves us that expense. And, we have almost 300 investors who will be outstanding ground-roots PR for us when we're ready to release the film. So ... WIN/WIN in our opinion. This is the Hail Mary pass ... it's the FINAL COUNTDOWN ... been thinking about it, stop thinking and start investing! Katie was known for her generous support and kindness to others. One of her friends reached out to us yesterday. By the way - our average investment is $260 ... if the 111 "followers" of our campaign invested the average amount, we'd be over $106,000! Let's make it happen. As you might know, Kind Katie Movie Partners has exceeded its minimum funding goal. When a company reaches its minimum on StartEngine, it's about to begin withdrawing funds. 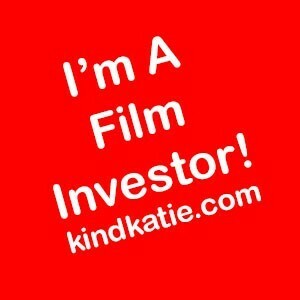 If you invested in Kind Katie Movie Partners be on the lookout for an email that describes more about the disbursement process. VOIDED? ... REFUNDED? ... PROGRESS? I was reviewing the list of our investments since we began back last October. I noticed several who's investments haven't been fully "invested". Every investment is precious to us as we continue leading toward our goal. Please check your investment status and make sure your investment has not been voided or refunded. (A few of you who I'm sure think you're invested may be surprisded to learn you are not!) As we've done ammendments and extensions since October, it's very possible some of you have missed an email or text. If your investment is voided or refunded and you meant to stay in as an investor, please go ahead and REINVEST. Some have asked how things are coming along ... it looks like we've stalled out doesn't it? Actually, we've been focussing our attention on some invesmtent opportunities for folks who would like to make very sizeable investments, but would prefer not to do so here on Start Engine. In fact, we've had one potential investor who would like to make a $250,000 investment - but he doesn't want to be the only one at that level - so we're asking YOU ... do you know a business or individual (or two or three) who'd consider a six digit investment? We'd really love to chat. Please reach out to us personally with your contact info. And did you know that the new Federal tax law allows for 100% bonus depreciation for entertainment related investments? That, combined with GA Tax credits could minimize your risk CONSIDERABLY! Consult your CPA or Tax Advisor for those details. Also - we have 400 folks "following us" on this page - yet only about 270 are investors. Here's a challenge to you followers to become investors. And a challenge to you investors to invest again. We have never been more confident that the film is going to happen. Don't be discouraged by what appears to be slow progress ... things are happening. Kind Katie Movie Partners, LLC is extending their campaign. What Kind Katie and Star Wars have in common. I shared this on social media, but I wanted to share it here too. If you've been following and haven't yet invested, please consider becoming an investor. On May 25th, 1977 movie history was made when STAR WARS released. It stayed in theaters until November of the following year. WAIT … STOP … READ THAT AGAIN … It stayed in theaters for 18 months! Today movies are lucky to stay in theaters for three weeks. But there was a problem … there was NO WAY Kenner could have the toys ready in a month. In fact, they couldn’t have them ready by Christmas. So what did they do? They sold a promise. On Christmas morning when every kid in America wanted Star Wars toys – hundreds of thousands of kids around the globe unwrapped … A PIECE OF CARDBOARD. Kenner convinced America to spend $11.99 on a certificate that would eventually be redeemed for four action figures that would arrive sometime between February 1st and June 1st. That took moxie on the part of Kenner – and at least $12 worth of faith on the part of American parents. In fact, the bigger department stores like Sears and J.C. Penney refused to stock the “certificate” because the idea was so absurd. Fast forward 40 years … Kind Katie is doing something that takes some faith and displays some moxie too. We have the audacity to suggest a crowd of as many as 10,000 investors will purchase a “certificate” on the promise an amazing film will be delivered. Crowd-funding is not new or novel – but a crowd-funded film going to theaters IS … especially one that offers a return on hopeful profitability. Opening a “certificate” that can’t be redeemed months from now can be less than exciting … especially for a 6-year-old on Christmas morning. But investing in a film that will LITERALLY change lives and will make history IS and WILL BE remarkably rewarding. Over the past few weeks we’ve had some press about our strategy and co-incidentally, I’ve received several friend requests on social media from producers, directors, and other influencers in the faith-based film world. Perplexed, I asked my wife why they’d suddenly be reaching out to ME. My wife replied, “They’re watching.” She continued, “They’re rooting for you … they just don’t want to admit it. If you can show them this works, what you’ve been saying will be proven true. You’ll literally change how films come to market.” (It’s nice to know your wife believes in you). I’ve been scratching my head about some things. Out of over 8100 page followers, only about 220 are investors. (2.7%) … I got a little discouraged the other day and then it hit me, people don’t INVEST. Most don’t SAVE. Most only SPEND on what brings immediate satisfaction … in fact, most SPEND MORE THAN THEY HAVE. Want proof? A recent study reported that 66 MILLION Americans have ZERO in savings. Yet, 60% of us will have some kind of financial emergency this year. Another study revealed 47 percent of Americans wouldn’t be able to cover even a $400 expense without borrowing money or selling something. We live our lives at the limit (or just past) our financial margins. And yet, we live in the most affluent country at one of the most affluent times in our history. We spend $4 on a cup of coffee and $100 (at least) on a pair of shoes. I went back and looked at my debit card record and was shocked (and a little embarrassed) that I had spent over $240 on restaurants over the past week. Yes, it was over a weekend and there was a birthday celebration in there too, but … really??!! And to think the people of Tomas Borge, Nicaragua live off $40 a MONTH. 1. Based on the numbers, you’re likely NOT yet one of our investors. 2. You probably live life at your financial limits most of the time. 3. The idea of investing around $100 or more in a “certificate” that won’t show results for months isn’t going to fill you up with warm-fuzzies. 4. You’ll likely have to make a few changes in your spending habits to become an investor. 5. It’s going to take some FAITH in an unproven production team that your investment will be worth it. In the world of Star Wars memorabilia, those certificates are now worth thousands of dollars. That’s right … the CARDBOARD is worth thousands. Kenner and Star Wars completely changed an industry. I believe Kind Katie can too. I hope you’ll have faith in us. I hope you’ll make a few small changes to become an investor. I believe you’ll look back and be very glad you were part of this story. WHO IS THIS UPDATE FOR? This will only apply to the 50 (or so) people who have YET to recertify their investment. If you've been receiving emails or texts from StartEngine asking you to recertify your investment, please do so. This takes ONE CLICK of the mouse and it will assure your investment stays intact. WHY HAVE I BEEN RECEIVING THESE NOTICES? About a week ago we extended our campaign and changed the MAX goal from $100K to $1.07M (our production budget). This was the plan all along. Whenever there is a change in ANY of the details of an investment campaign, those who have not yet been fully invested (had funds transferred) have to recertify their decision to invest. HOW LONG DO I HAVE? Until Noon on Friday 3/16 (Eastern Time) ... so please take care of the matter as soon as possible. WHAT IF I HAVEN'T BEEN GETTING NOTICES TO RECERTIFY? Then ignore this message - you're already fully invested. Kind Katie Movie Partners LLC is extending their campaign for 60 days and raising their maximum funding goal to $1,070,000. Only a few hours remain in our first campaign. What started five months ago is about to take another turn. At the time of this writing we're seeing a litle less than $68,000. We were hoping for $100K in this round. Are we disappointed? NO!!! First, remember, we did an indiegogo campaign in May of 2017 that brought in $4375. We also had an "angel investor" in early summer last year who got us started with $10,000. That means we're almost at $80,000 and we are well poised to move to the next phase... which was ALWAYS the goal of this campaign. What is the next phase? At some point today (Friday) you'll see the clock reset and the goal jump to $1,070,000 - this is our production budget campaign. We will be greatly expanding our reach in marketing and PR. The terms will remain the same - anyone with $100 or more can become an investor. We'll also be adding a landing page at kindkatie.com - this will be a place where we can gather email addresses for folks who may not be ready to jump in as an investor. The documentary "Beauty for Ashes" will also be viewable there. This documentary has been very powerful in helping folks see the "why" behind our "what". Please remember, YOU are our best promoters. All it takes is a comment like "I invested in a film that I'm really excited about. Can I tell you about it?" ... then just point folks to kindkatie.com or startengine.com/kindkatie. In fact if everyone of our over 220 investors did that right now, I'm sure we'd see a lot more come in as an investor. We presently have investors in all but 16 US states. We'd love to sew up the entire country. Our weak areas are the Rocky Mountain States and New England. In a recent update, we told you about our trip to Nicaragua where we saw firsthand the impact Katie Beth‘s life is making 3000 miles away. Here’s a short documentary we have completed to help investors see how big of a story this all really is. If you haven’t yet invested, hopefully this will inspire you. If you have already invested, perhaps it will inspire you to invest more. Either way, please share this with as many as you can as we have only a few days left in this stage of our fundraising campaign. To Nicaragua and Back Again. 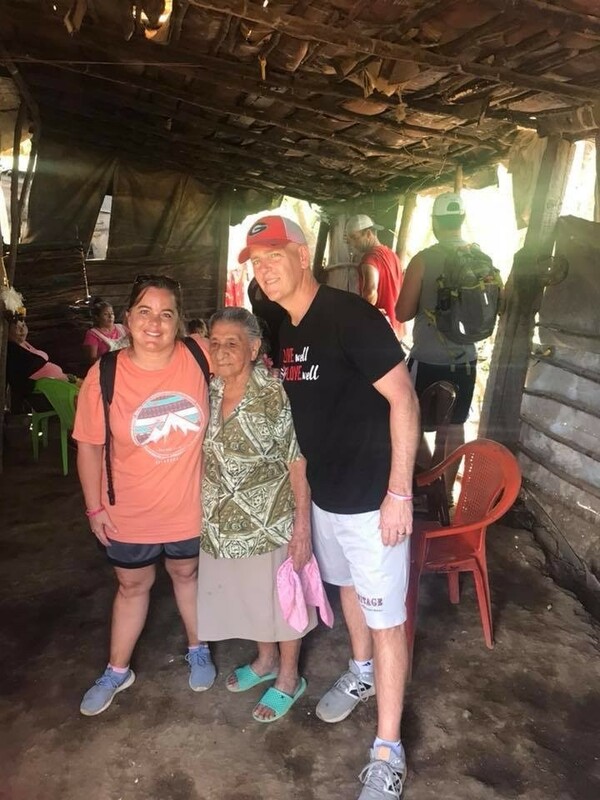 This past week has been nothing short of miraculous as Jon and Josh (producers) travelled to Tomas Borge, Nicaragua along with the Carter family and most of their extended family. Key leaders in the school effort were also with us. 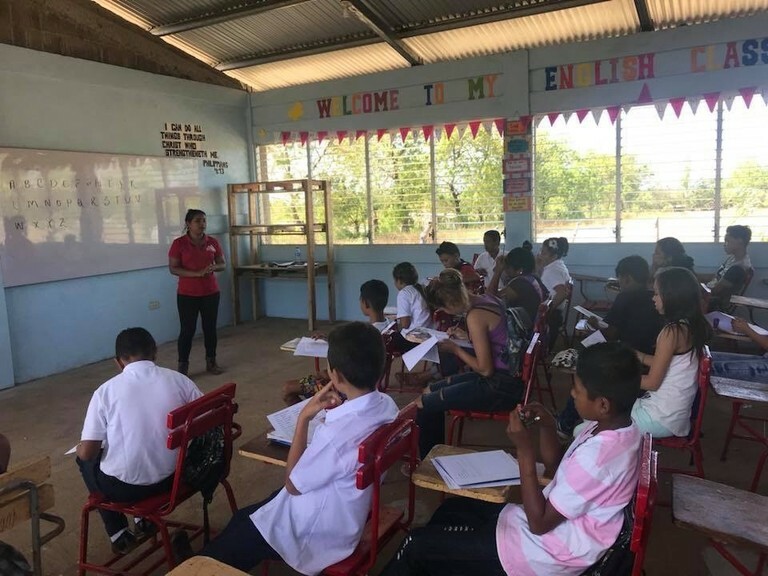 We were able to witness the final scene of our script lived out before our eyes as the children of Tomas Borge had their very first day in class. We were blessed to interview so many people, including a few residents (through the help of our interpreter). The poverty there is humbling but the hope they now have through the school that bear’s Katie Beths name, is remarkable. 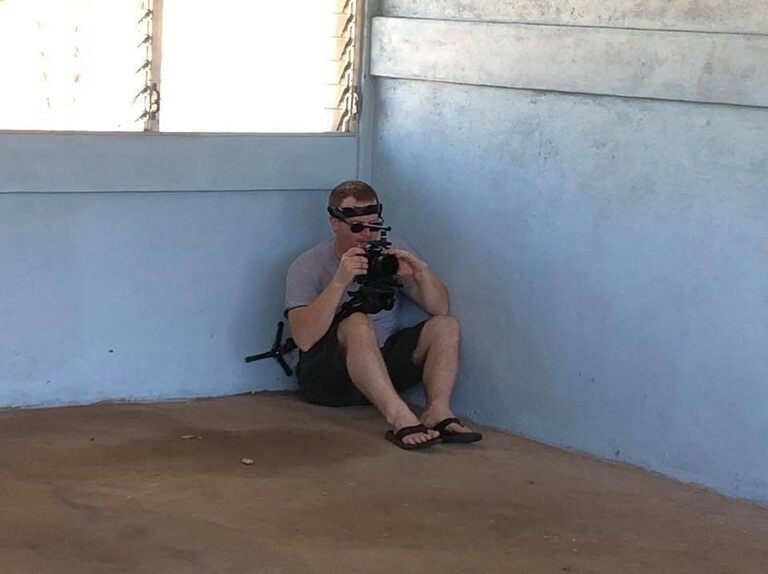 We will be putting our footage into a documentary that we believe will inspire potential investors for our larger production budget - and will serve as a great “special feature” one day soon. Also, we will craft versions that will help support the efforts of the organizations that are working together to bring “beauty from ashes” in Tomas Borge. Please go look at our facebook page for videos and photos from our trip. And please consider investing (or investing more) as we are in our final 30 days. A little investor math ... and an announcement. At the time of this update, if you divided the number of investors into the total amount invested, you’d see that the average investment is $300. Now if you multiplied that average investment ($300) by the number of folks who have followed our campaign, you’d be amazed to learn that we’d have close to $64,000 invested! Here’s another interesting stat: We have investors in over 25 states and two foreign countries. Wouldn’t it be awesome to have representation in every state! 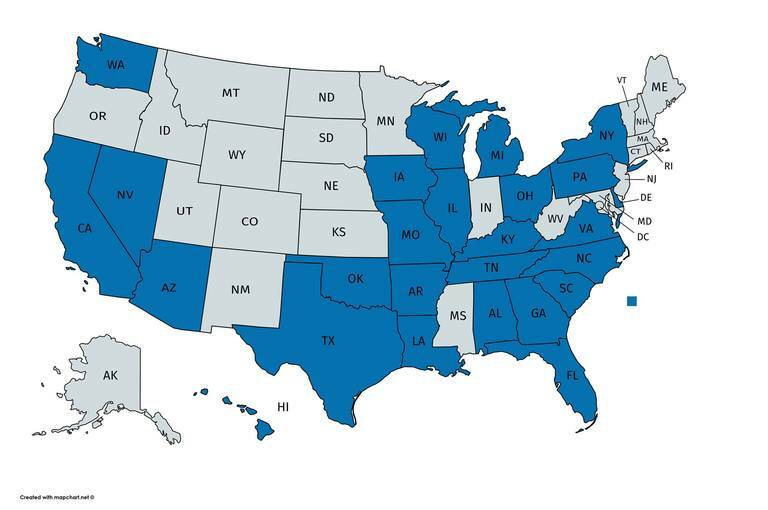 If you know someone who lives in a “gray” state (see image below), tell them to join the team! And if you’ve been following along and have yet to invest, please consider taking that next step. Tomorrow, producers Josh and Jon join the Carter family, E.K. Slaughter, and other key leaders in Impact2One as we travel to Tomas Borge, Nicaragua for the opening and commissioning of Katie Beth Carter Memorial Institute. We are beyond honored to be invited and can’t wait to bring back footage that will soon become a documentary about the school and the story behind it. Eventuallly that documentary will be a ‘special feature’ on the BLU-RAY or DVD and immediately, it will be used to help potential investors see the scope of this amazing story. In fact, the final scene of our script is the opening day of the school. How amazing that we get to actually see it happen. Please be in prayer for the team and especially the Carter family as they will no doubt be flooded with emotions during this time. Josh and I are thrilled to be heading to Nicaragua in a couple weeks for the grand opening of Katie Beth Carter Memorial Institute. As you may recall this is the final scene in our script and it's so exciting to witness it first hand as it happens. In fact, while Josh and I are there, we'll be filming interviews with the family and other key people in Katie Beth's life. We will use this footage to help share the amazing story of Katie's legacy and hopefully inspire more potential investors for the film - which we believe will eventually reach the world. Our extended deadline is getting closer. Please help us share about our investment strategy and help us find folks who'd love to be a part of the investment team. Today is your last chance to re-confirm your investment. If you fail to do this, your investment will no longer be active. Please re-confirm today if you haven’t already done so. EXTENSION GRANTED: StartEngine, has granted our request to extend our campaign. 1. Well, we hadn’t yet met our goal but we are aware of several who have said they wanted to invest but needed a few extra days. 2. Hurricanes Harvey and Irma and The Holiday season have been a very financially taxing time for many - we knew of a few who felt that burden and were hoping for more time to recover and then wanted to invest. 3. We understand the new tax bill that just passed is favorable for those who invest in film. 1. If you’ve invested recently please be on the lookout for an email asking you to re-certify your investment. 2. There can be no further extensions - so please help us share the investment opportunity. Kind Katie Movie Partners has extended their campaign for 60 days. Thank you so much for believing in the vision of Kind Katie. 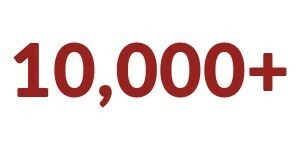 We’re over 25% toward our goal of $100,000 for our development fund. Here’s the simple math – to reach that goal, we need to find three more people like you who also believe in Kind Katie enough to make an investment. We are hosting a facebook live event on Tuesday, January 2nd at 8PM Eastern. Jason and Amy Carter will be joining us to talk about Katie Beth and why this movie means so much to them. We’ll also be discussing our progress and the investment opportunity in broad terms. Hey, recently I made an investment in a faith-based film. They’re doing a facebook live event with the parents of the subject of the film and I really think you’d find it interesting. I’d love you to consider joining me on the team of investors. We’ve surpassed $25,000 in investments because of grassroots support like yours. Please help us spread the word. It's easy to spot a good investment when looking backward. Apple went public in December of 1980 at $22 per share. What a nice stocking stuffer that would have been! Now, here's some extra simple math... if you made a $1000 investment you can just add a ZERO to the end of those four numbers. So ... if you're following our cammpaign and wondering if it's a good idea to invest. Just chew on those numbers. If you've already invested and think, maybe I should invest a bit more ... consider the "add a zero" example. Of course, we cannot make any guarantees Kind Katie will be as successful or more successful than these titles. Food for thought. Please share our opportunity with anyone and everyone. We've Reached A Significant Milestone!! Thank you and congratulations to all who have invested thus far. We've exceeded our minimum goal of $10,000 within our first 30 days. We've mentioned before we are the first faith-based film to raise funds through this investment strategy. Another feature film was first and they inspired us to go this route. As of the end of October, they reached their goal of $750,000. And they did with almost 500 investors. Assuming everyone invested the minimum, we need 899 more folks to reach our MAX goal. Please continue to share with otheres about Katie Beth's amazinng story ... and if you haven't yet invested, now's a great time to get in. We are very excited to announce Laura Lundy has accepted the role of "Coach Stacey" - the Chattanooga Dance Coach that helped get Katie Beth ready for her Marching Ballerina's audition. 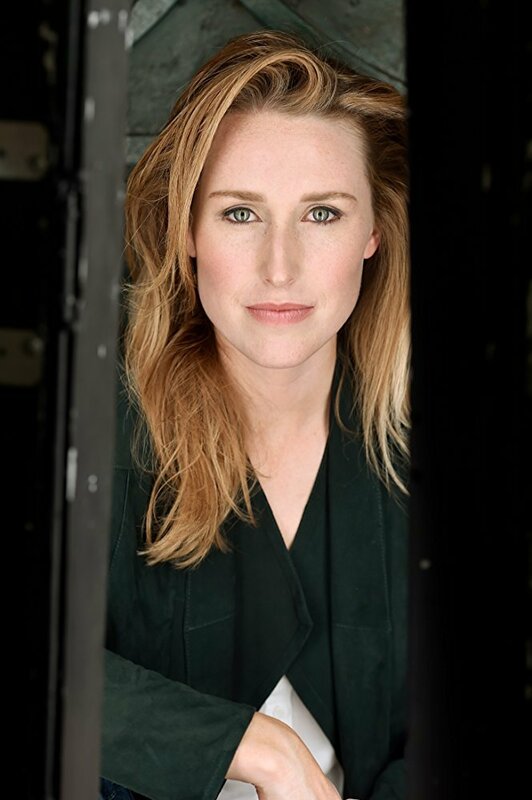 Laura is an Atlanta-based actress originally from Cedartown, GA. She graduated from Jacksonville State University and was recently named JSU Young Alumni of the Year. Her connections to JSU make this an extra special project for her. Her credits include SULLY with Tom Hanks and Billy Lynn's Long Halftime Walk (directed by Ang Lee) and featuring Kristen Stewart, Steve Martin, Chris Tucker and Vin Diesel. She was also in A Larger Life, an auto-biographical courtroom drama set in the south, written and produced by her father. Two weeks in - and thank you! We started this campaign two weeks ago. In that time we've been so blessed to see over 25 people believe in the project and become investors. 2. You're appreciated! Whether you've invested yet or not - your willingness to follow our progress shows us you are rooting for us in one way or another. And since you are, why not go ahead and invest. You could "wait and see" if this is going to snowball, or you could be part OF the snowball. Either way, you're protected (see #1). 3. You're our best megaphone! We need 1000 investors. We have 26. Are there ten people in your life you could send a personal message to who would look the page over? Could you say, "I believe in this and I think you will too, let's make history together."? Please - right now, while you're thinking about it, message, text or email them with the link (kindkatie.com) and a message. It's most important that they understand this is NOT a donation. It's an investment. In fact, to help you share the word, right click on the image below (or if you're on a mobile device, just "long-press", save it, and upload it as your social media profile picture. Also, did you know you could invest as "an entity"? If you run a business or organization, you can make that entity an investor. Just select that option when you invest. Again, thank you and stay tuned.